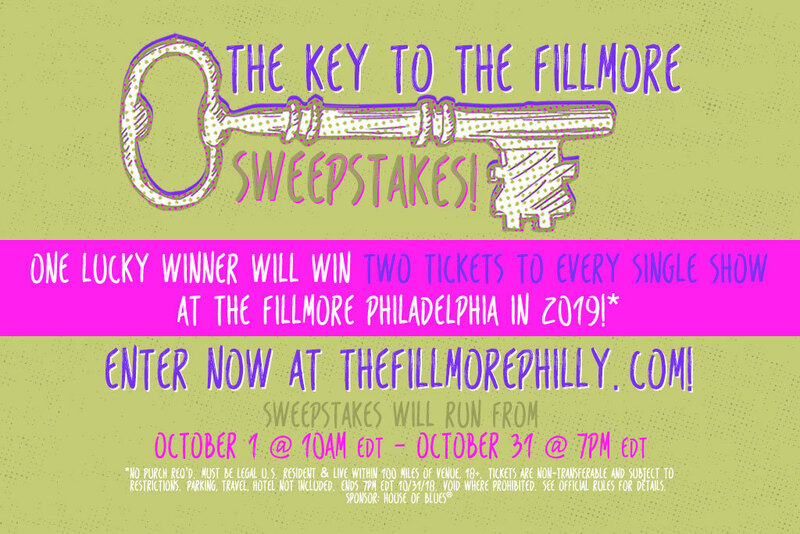 Enter now for your chance to win two tickets to EVERY show at The Fillmore Philadelphia in 2019! We'll alert the winner via email after October 31, 2018. (2) general admission tickets to EVERY SINGLE SHOW at The Fillmore Philadelphia in 2019!